Newt Gingrich is speaking at the Northwest Suburban Republican 2012 Lincoln Day Dinner tonight 7:15 p.m. to 8:30 p.m. 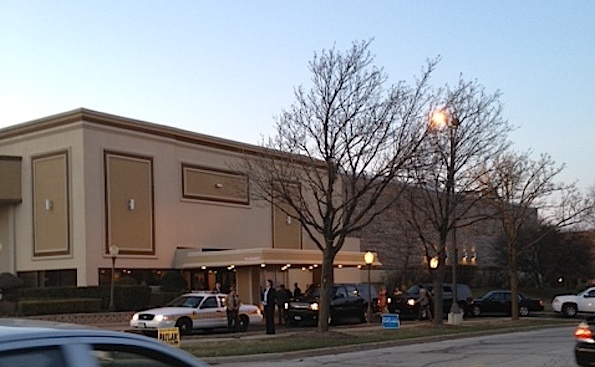 He will be speaking live on FOX NEWS On the Record with Greata Van Susteren immediately after the dinner at about 9:00 p.m. CT.
Gingrich entourage arrival at The Cotillion in Palatine, Illinois (reader photo). 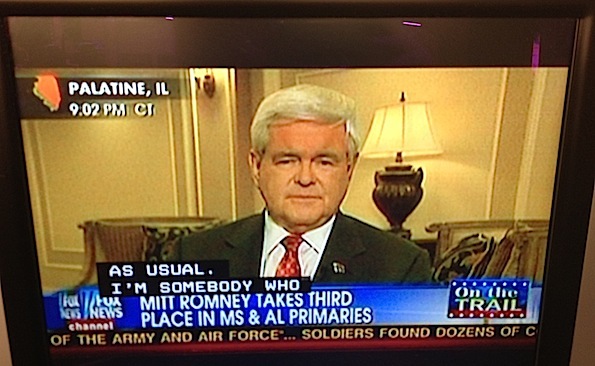 Presidential candidate Newt Gingrich on FOX NEWS On the Record with Greata Van Susteren.